How big was the office? Team strength? Decently sized office. About 11 associates in addition to the great man himself. Duration in weeks. Timings : 3 weeks. Fridays are usually half days which mean you get to leave once Court is over. You might be called over on Sundays too if there is work to be finished. As Sir says, “there are no Sundays in litigation”. Timings are usually from 9-9:30 a.m to about 8-9 p.m. There may be days when you can leave early or only around 10.30 p.m depending on where you stay and the amount of workload. Accommodation: I put up at an acquaintance’s place at Defence Colony. The office has been relocated to Shah Jahan Road near Khan market. So any locality on the Purple Line of the Metro would be convenient. Lajpat Nagar/Kalkaji would be good places to stay, there being many PG s around. First impression: I was a little taken aback on Day 1. I had been asked to report at 9 a.m. As I was entering the office, I was swept aside as a battery of associates/interns/clerks left the office for court in a huff. I reported to Ms. Mago, Mr. Luthra’s Secretary who asked me to wait for an associate to give me work. Pretty soon, the associates who had not gone to Court introduced themselves and made me feel at ease. 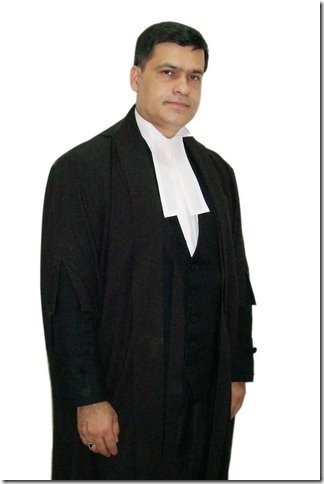 Main tasks: Since Mr. Luthra deals mostly in Supreme Court, there is very little drafting work. Interns are mostly given research work. You will be put under an associate, whom you will report to and assist in matters. Interns accompany the associates to Court where apart from watching proceedings, you might be asked to get some last minute research done from the e-Library or get citations from the Bar library. Court visits are a treat for someone who wants to taste the rough and tumble of litigation first hand. Lots of running around involved. There are no Sundays in Litgation. b) You’d rather have lunch at the Court than at Khan market, especially if you’re on a budget and plan to enjoy your weekends. Once Court gets over, its back to the office to prepare for the next day’s matters. Researching case law, typing out briefs, helping draft legal opinion form the major tasks in office. If the associate you’re working under has no work to give you, someone else will definitely allot you work. There is very little meaningless, “keep the intern busy” work and the associates take great pains to explain points of law and to put in context, what you’ve been asked to research upon. Mr. Luthra himself keeps tabs on the interns, explaining why the judge ruled in a particular way, asking the interns what they learnt from a particular hearing, etc. Work environment, people: This was one of my favorite internships in terms of work environment and people. The associates are young and they behave with the interns like a friendly college senior would. Interns are made to feel welcome. Their opinions are given weight and there is acknowledgement for the work they have done. The office staff is friendly too. Lunch is almost a family affair with everyone sharing food from dubbas or ordering out. Mr. Luthra treats his interns with a fatherly touch, occasionally asking them to join him for a cup of coffee, discussing cases, etc. with them. Best things: The people I met. The Court visits. The exposure to so many varied and often famous cases. Bad things? I had been hoping for some drafting work, which sadly, was not possible. Do read a fabulous Legally India’ interview of Mr. Sidharth Luthra here. Image from the same write-up. We’ve another internship experience of a law student under Sidharth Luthra here. what is the application procedure and is there any email address to appy for it. What is the Email id or is there any other procedure to apply for internship? Also, if I want to intern with them in June – July, is it too late to apply? What is the application procedure? Please clarify. please give me his email id so that i can apply for an internship.